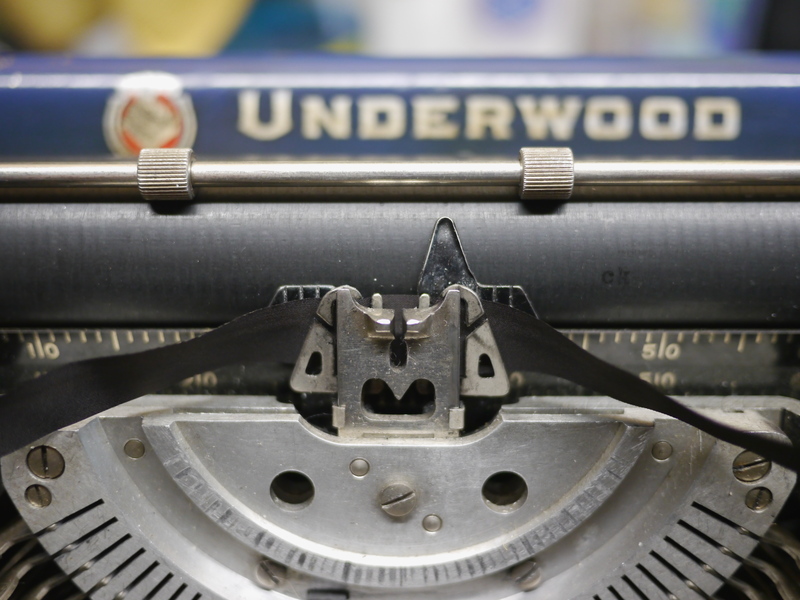 The Underwood atop the typing platform on my workbench. 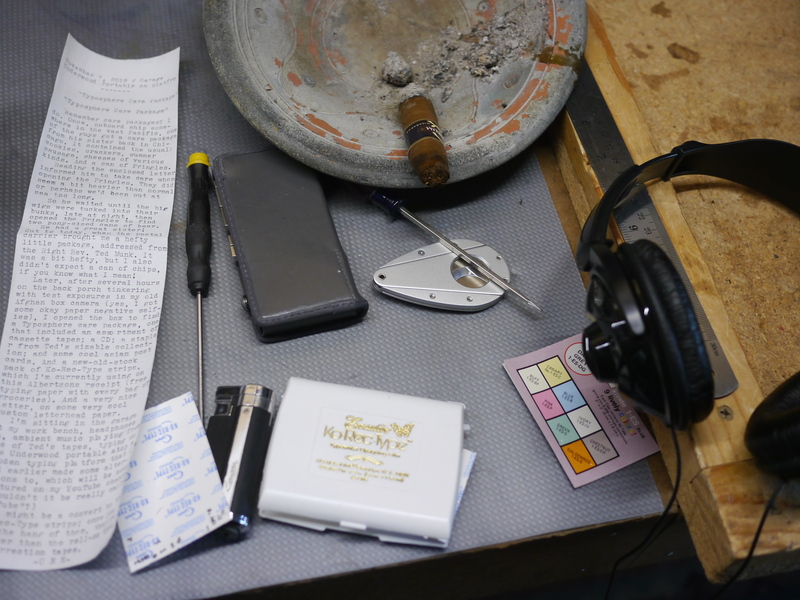 Ko-Rec-Type pack, Olympus Pearlcorder, headphones and cigar accoutrements. Had the garage door open to air it out while smoking. And a fan blowing. I missed my opportunity to get a free gift from 1988! This must be where all the letters go that you type, when they don't show up on the screen! Only a bit of residue from the Ko-Rec-Type. Mostly blows off with a can of compressed air. It goes down more reliably than those rolls of correction tape. 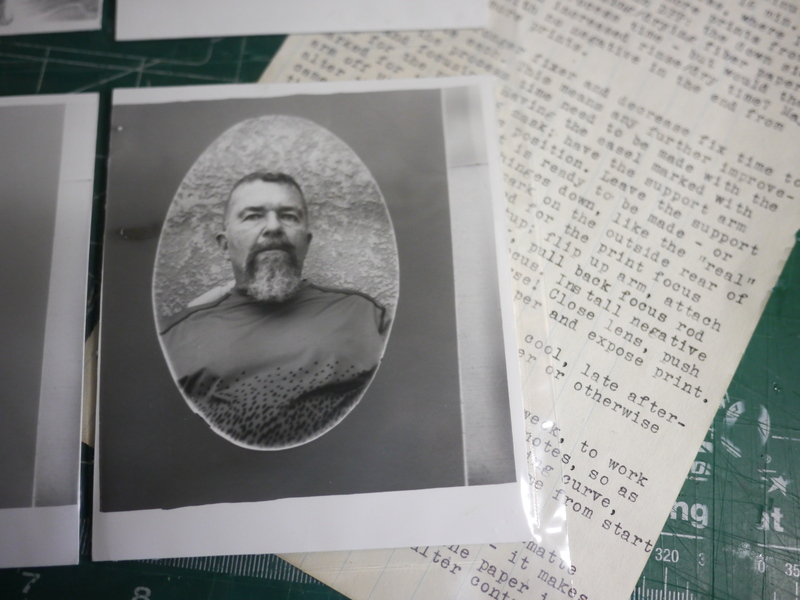 Some results from today's Afghan box camera testing, along with typewritten notes. I'm thinking about an americanized name for these devices, other than "Afghan box camera", or "camera minutera". I kind of like "wet box camera". 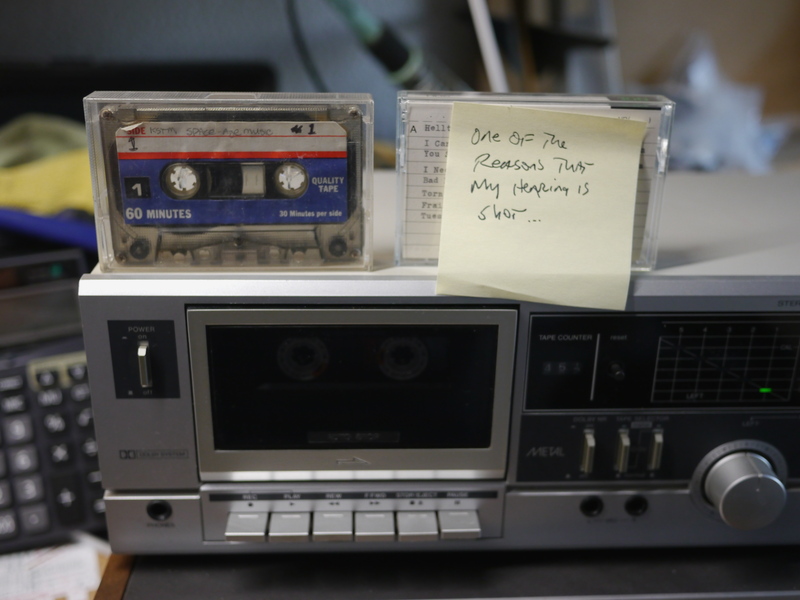 I considering getting a set of small bookshelf speakers for the garage, but had a good time today with Ted's tapes just wearing headphones. And I can blast it without bothering the neighbors, or my wife! Thank you Ted for the care package. Now I'll have to get busy, acquire an analog video capture device and get you some footage of those experimental videos from the late '90s - early aughts. And maybe even an episode of "The Joe Show" from the late 1980s. Good man, Right Rev. I like those correction strips. 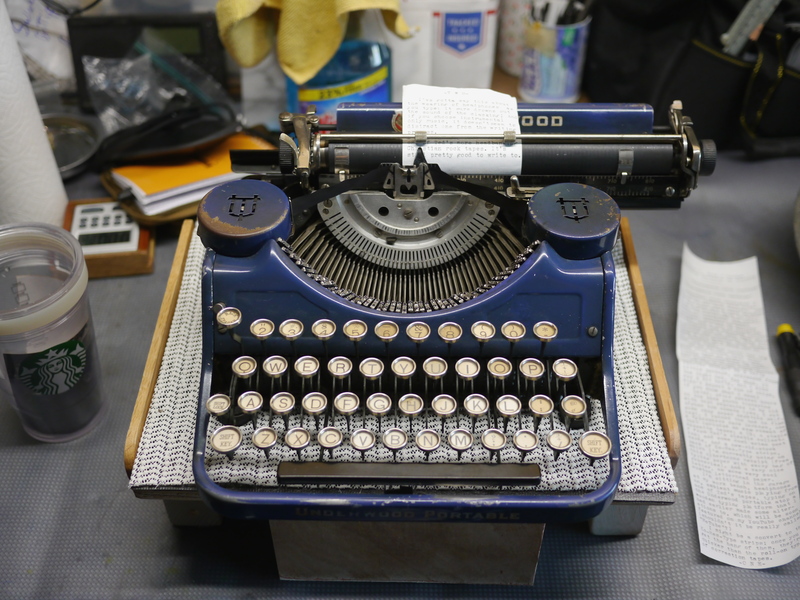 By the way, a typewriter care package is a perfect use for old Apple iPhone boxes! Great care package. I use the same correction strips. I even have some beige ones that work great on some of my tinted papers. 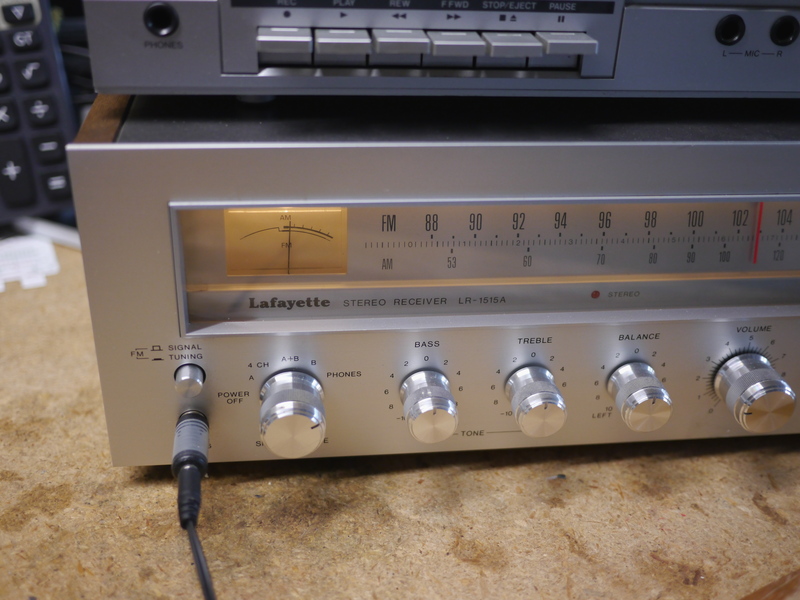 The Lafayette receiver looks almost like a Heathkit I built back in the 70s. I wonder who copied whose design. 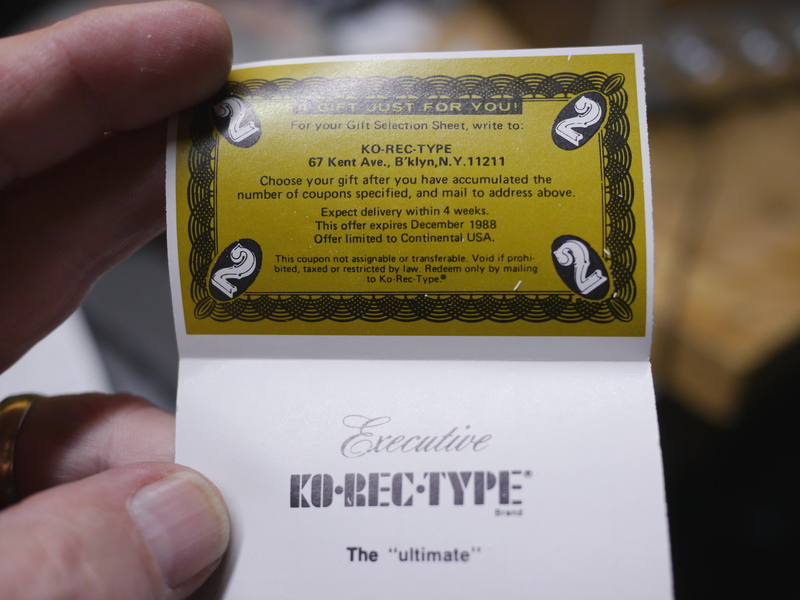 I used those Ko-Rec-Type strips in college! If you hadn't posted a picture, I wouldn't have remembered. Love the old-school selfie. Something about the medium makes you look like a tribal chieftain somewhere in the Caucasus, circa 1934. Do you have a Costco nearby? There are usually one or two days a year when it's open to all without a membership. About 19 months ago I bought a two-pack of plastic wrap there, 750 feet each, and the first box still has a while to go. The blade in the box has a slider and never catches or misses, and the wrap itself is super-strong and heavy enough not to float around and catch on itself as often as Saran or Glad do. Could be a solution to your first-world problem. Kissing Cousins or Typer Twins?